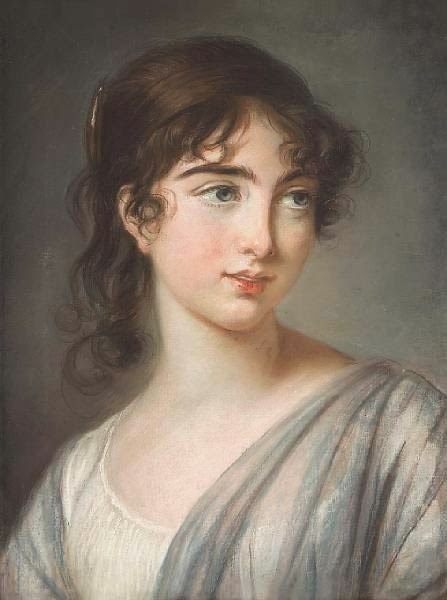 The charming Corisande Armandine Sophie Leonie de Gramont was the daughter of Aglaé de Polignac and granddaughter of Gabrielle, Marie Antoinette’s best friend. Born in 1783, for the first few years of her life she enjoyed a carefree and privileged existence in France. Then, the Revolution broke out. Corisande escaped with her family to England, where she found refuge in the household of Georgiana, Duchess of Devonshire, who was a good friend of Gabrielle. Corisande was brought up alongside Lady Caroline Ponsonby (later Lamb), and the two soon became good friends. It seems that during this time Georgiana’s only son Hart fell in love with the pretty Corisande. But he had a rival: Augustus Foster, the son of her mother frenemy Elizabeth Foster. However, because she was at least seven years older than Hart, no marriage between them was seriously considered them. Foster too would have his heart broken. 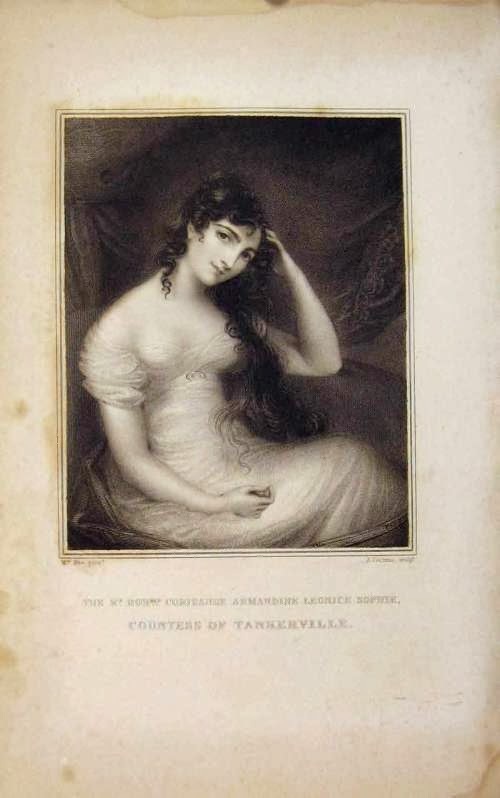 Instead Corisande, despite her poor financial situation but thanks to her family’s good connections, still managed to find a good eligible husband and, in 1806, married Charles Augustus Bennet, 5th Earl of Tankerville. The couple had two children: Lord Charles Bennet, the future 6th Earl of Tankerville and Lady Corisande Emma Bennet, who would marry the Earl of Malmesbury. Corisande died in 1865.